Would you like boost a visibility of your page? 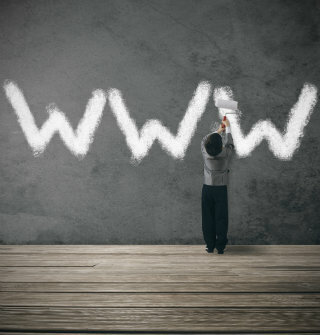 Few months ago, we celebrated the 25th anniversary of the Internet - the World Wide Web, probably the most important invention of the 20th century. In 1989, a single machine designed by a software engineer Sir Tim, working at CERN facility in Switzerland turned into a global network of computers, laptops, tablets, PCs, smart phones and many more upcoming devices. The invention of the Internet changed the behaviours of an entire generation; from consumers to companies and marketers to advertisers. Today, the most substantial resource of any company is its website. Initially, the web pages of companies looked like more or less as an encyclopedia entry. Companies told people who they are, what they do and where they are. But in the recent years, companies realised that a website is the most effective way to communicate with the customers. Web pages are implemented with powerful B2C and B2B tools; including online sales and purchasing, secure business sites, vendor services, ordering and many more. All these developments steered companies to re-evaluate their websites. Actually this re-evaluation today is continuous: you should follow the most recent trends in web design and monitor its competitors to be constantly up to date. But before that, you should know the basic rules of modern web design and some simple tips to conduct a better business. These rules are twofold: appearance and content. Enhance your image. Appearance is important! Different research suggests that you have only five seconds to impress your audience when they enter your website. You need to connect with the customer right away, and the best way to do this is using a professional and engaging design. The images you use have to be imposing and the general design should be pleasing to the eye. The Internet is speeding every passing day and you should take advantage of this. You should use videos to tell what your business is doing and how it does what it's doing, since video watching is the new trend on the Internet. Lastly on this section, know the habits of your customers. Today people spend a lot of time on the Internet while travelling around; so you should make your website friendly with smart phones and tablet PCs. Kommand gives you a perfect platform for creating stunning websites. It delivers the best web practice tools that provides you with the mobile ready and SEO friendly websites. You can easily create and edit your own beautiful website. Content is still the King. Be informative. Don't ever forget that the Internet is alive! You must keep your webpage up-to-date. The new face of your company is your web site. Otherwise, with outdated content, people will think that your business is inactive. And be visible. Search Engine Optimization (SEO) is crucial to capture organic web traffic, which will lead to new customers and better sales. Use monitoring devices and see where do you get the most traffic and use this information in your business strategy. In addition, you need to use proper messaging. The messages have to be clear, short and concise. Make sure that you are using CTAs, namely Call-to-Action, the buttons directing people to certain business activities. Last but not least, incorporate social media. Today, the best way to build customer loyalty and to be in touch with customers is to use social media. You will notice that sometimes, they sell your business even better than you! If you are considering building a new website or re-designing the existing one Kommand can offer you the best web practice platform that will help you to successfully grow your business in a long term. We continually update our platform with the newest technologies and techniques to make your website Google relevant and up to date. All of the Kommand website building packages are mobile ready and SEO friendly. If you have no time, but would like to have a website for a small fee we can build it for you. You will have access to your website and will be able to change text, offers or pictures. If you would like to find out more simply visit Kommand site.